The head of the National Bank of Ukraine says that she hopes Ukraine will receive the next tranche of financial aid from the International Monetary Fund by New Year holidays. KIEV, November 16 (Sputnik) — The head of the National Bank of Ukraine, Valeriya Gontareva expressed hope that Ukraine will receive the next tranche of financial aid from the International Monetary Fund (IMF) before the end of 2014, in a Sunday interview with the Ukrainian Inter TV channel. "I am still optimistic about us being able to do it [to receive the third tranche] this year. The [IMF review] mission will finish its job on [November] 25th and by that time our government may already be formed," Gontareva said. 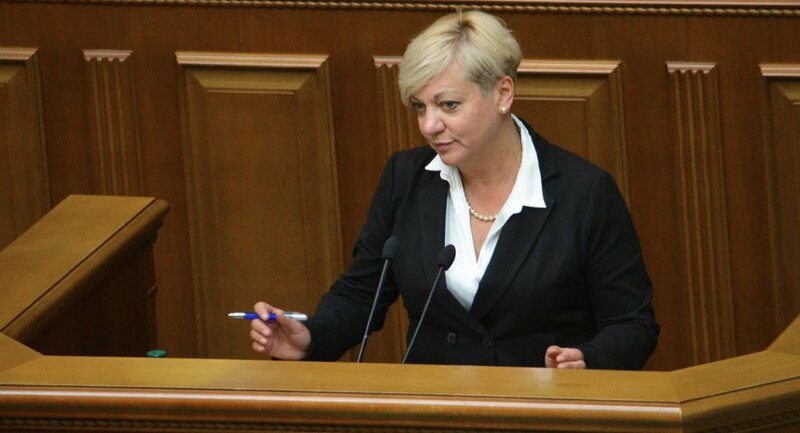 Gontareva noted that while she hopes that Ukraine will receive the IMF aid by New Year holidays, she sees no problems if due to the technical problems the tranche will be postponed to early 2015. Earlier this week a technical mission from the IMF arrived in Ukraine to review the implementation of the $17-billion bailout loan program, launched in April. To receive the IMF financial support, Ukraine agreed to a severe austerity program that includes raising taxes and selling off state assets. Kiev received the first IMF loan tranche of $3.16 billion in early May. On September 4, Kiev received the second installment of about $1.39 billion. Late in October, IMF spokesperson Gerry Rice said that Ukraine may not receive a third aid tranche from the IMF before 2015, as the mission may be unable to make a decision before a new Ukrainian government is formed.